WASHINGTON — Democratic California Rep. Eric Swalwell does not want to talk about the Steele dossier, which he continues to take seriously despite an unverified salacious claim in it about President Donald Trump. The Daily Caller asked Swalwell on Wednesday if he buys the claim made in the dossier about the existence of a “pee tape,” to which the Swalwell responded, “Funny you should ask,” before he fled. 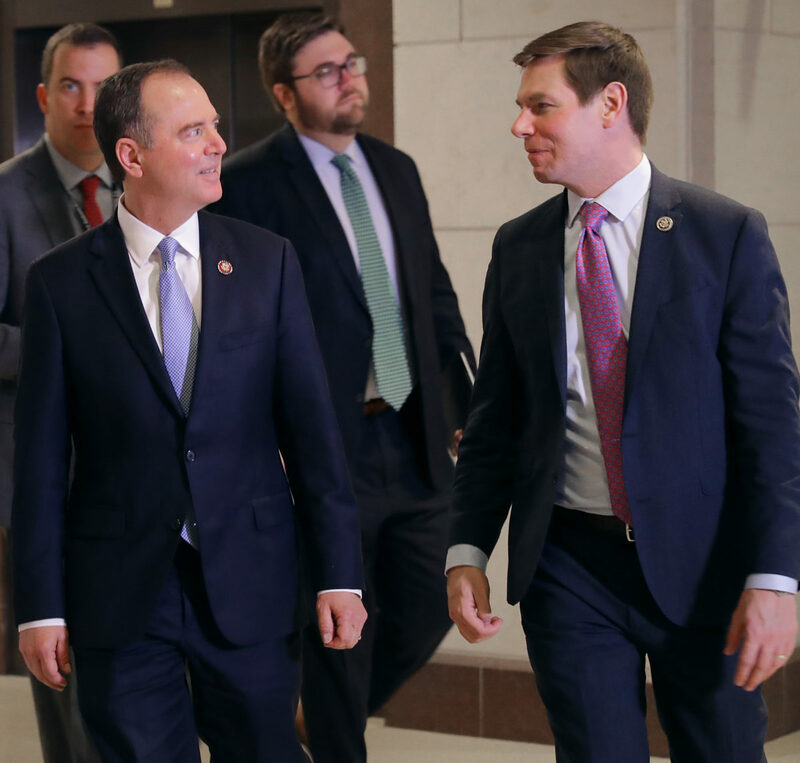 Swalwell talked about his thoughts on the dossier’s claims when he appeared on Fox News with anchor Martha MacCallum on Tuesday night. Former FBI Director James Comey admitted in a closed-door testimony last December that the FBI did not verify claims in the dossier before it was referenced as a basis for spying on former Trump adviser Carter Page in 2016. Christopher Steele, the dossier’s author, and former MI6 agent, had admitted in a deposition released two weeks ago that he used unverified information in the dossier he found from “a user-generated citizen journalism initiative by CNN, iReport, which no longer operates,” the cable news network reported. Steele thought, according to the deposition, that CNN iReport had “some kind of CNN status. Albeit that it may be an independent person posting on the site,” but it was, in fact, a distinct citizen journalism project created by CNN that enabled users to post stories, photos, and videos. “Do you understand that they have no connection to any CNN reporters?” a lawyer asked Steele during his deposition last June. “I do not,” he responded.